The Daisy is April’s birth flower, symbolising cheerfulness, childhood innocence and purity. The common Daisy has white petals with a bright yellow centre, but different varieties can also be found in pink, violet, orange and red. The name ‘Daisy’ comes from the phrase ‘day’s eye’ because it opens up each day with the morning sunrise and closes during the night. Remember making Daisy-chains as children? 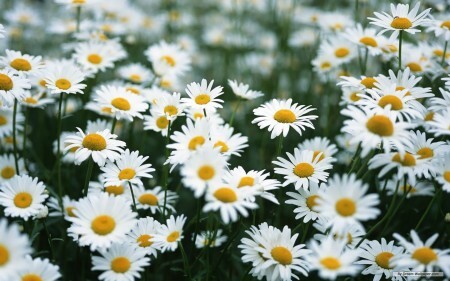 Discovered in 1884, the Daisy was once worn by unmarried men and women to signify their availability. Upon accepting a suitors proposal, women wore a ring of Daisy’s around their head announcing the engagement! Daisy’s make a great gift for young children and teenagers, or an alternative to roses if you’re planning to propose!